Despite soft sales for The Good Guys, JB Hi-Fi has reported total sales growth of 21.8% to $6.9 billion for the year ended 30 June 2018. Net profit after tax (NPAT) was up 12.3% to $233.2 million for FY18. In May, JB Hi-Fi downgraded group profit to circa $230 million (down from its previous guidance of $235 million to $240 million) due to soft sales in The Good Guys business, attributed to unfavourable weather and heightened price competition in home appliances. For JB Hi-Fi Australia, total sales grew 9.4% to $4.54 billion with comparable sales up 6.2%. Key growth categories were communications, computers, audio, games hardware and drones. Online sales grew 32.1% to $209.9 million (4.6% of total sales). Eight new stores were opened in FY18. For JB Hi-Fi New Zealand, total sales were down 1.1% to NZD231.5 million with comparable sales up 2.4%. Following the relaunch of its website in August 2017, online sales in New Zealand grew 96.3% to NZD9.6 million (4.1% of total sales). Following the exit of JB Hi-Fi Home in New Zealand, four stores were rebranded to JB Hi-Fi in FY18 as the business continues to be repositioned to improve performance. One JB Hi-Fi store was closed in August 2017 and another loss making store was closed in July 2018. Total sales for The Good Guys was $2.10 billion with full year ownership in FY18. Sales on a statutory basis were up 67% and for comparative purposes, for the same 12 months, total sales were up 1.5% with comparable sales up 0.9%. The home appliances and consumer electronics categories recorded sales growth. Online sales for the period were up 7.4% to $126.8 million (6% of total sales). Two new stores were opened in Robina and Tingalpa, QLD. One store was closed in Rockdale, NSW. Total group sales for FY19 are expected to be circa $7.1 billion, comprising JB Hi-Fi Australia ($4.75 billion), JB Hi-Fi New Zealand ($0.22 billion) and The Good Guys ($2.15 billion). 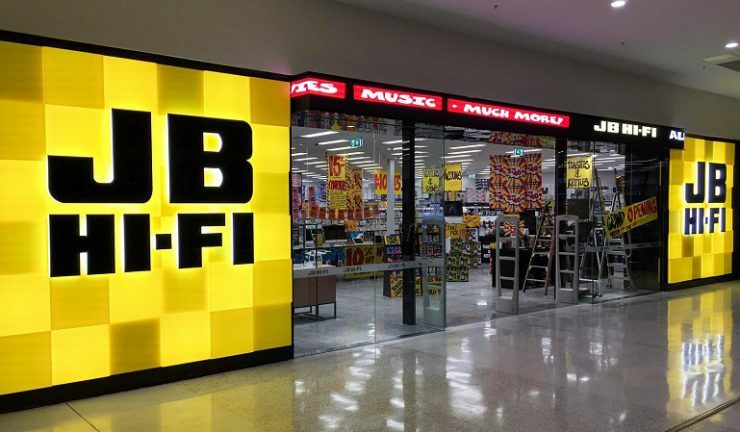 In FY19, the company expects to open five JB Hi-Fi Australia stores, two The Good Guys stores and close one JB Hi-Fi New Zealand store. This article originally appeared in Appliance Retailer.